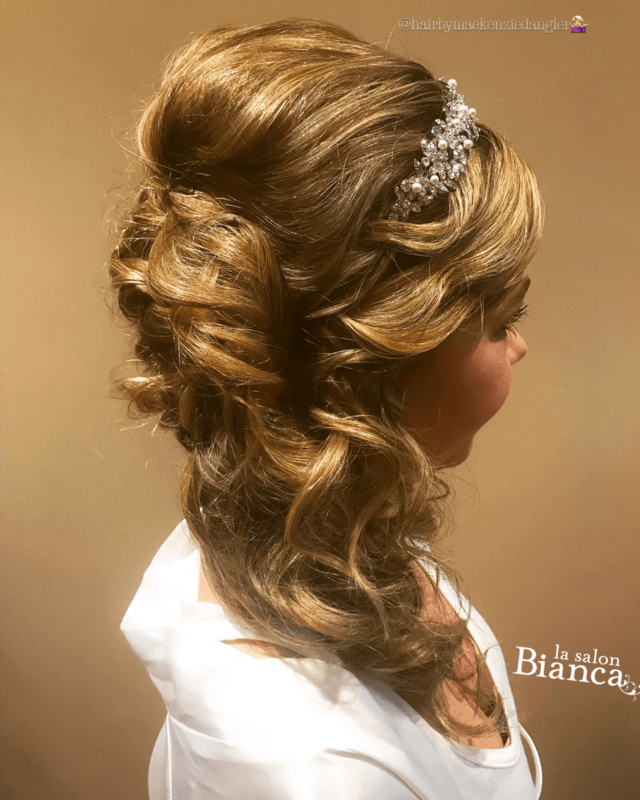 Check out this beautiful formal wedding hair that our Master Stylist Mackenzie created on the bride! 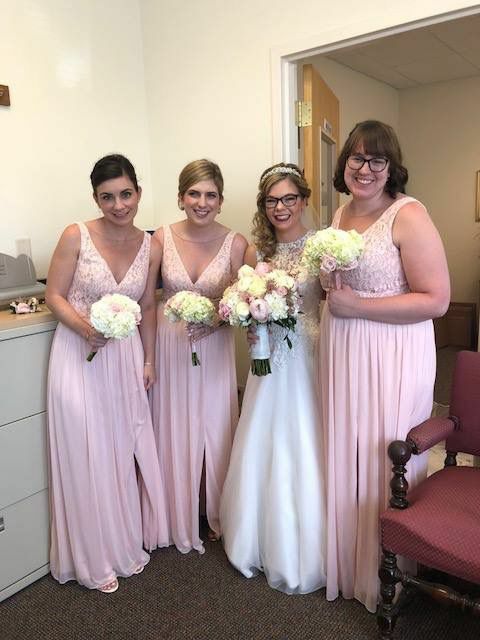 This bride looked like a princess from a fairytale (as well as her gorgeous bridesmaids as well that our team of stylists worked on)! 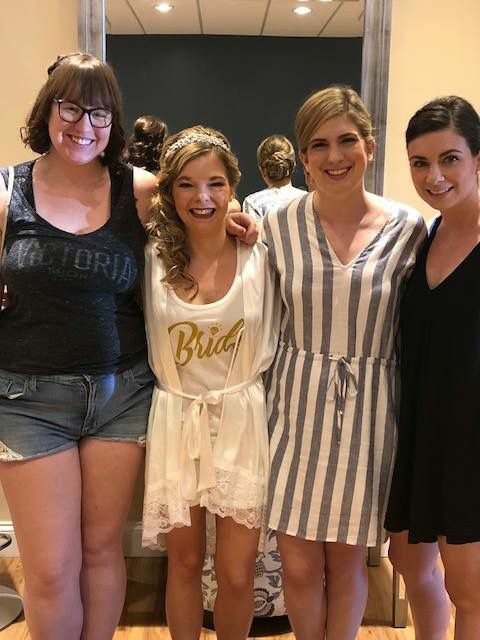 We love wedding parties at the salon! !